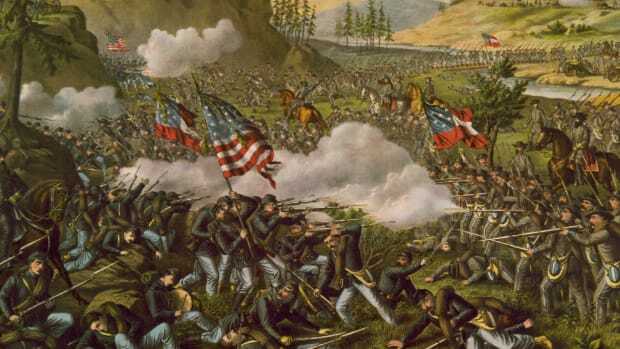 Also known as the Battle of Pittsburg Landing, the Battle of Shiloh took place from April 6 to April 7, 1862, and was one of the major early engagements of the American Civil War (1861-65). 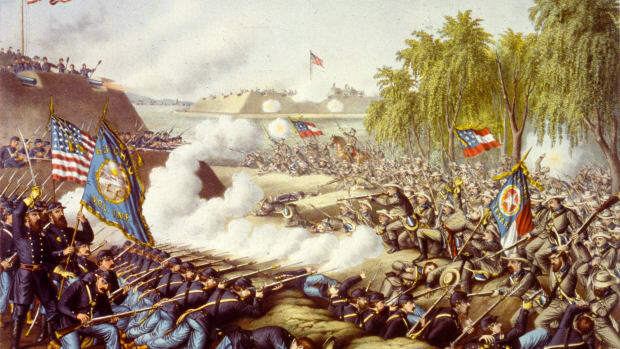 The battle began when the Confederates launched a surprise attack on Union forces under General Ulysses S. Grant (1822-85) in southwestern Tennessee. After initial successes, the Confederates wereunable to hold their positions and were forced back,resulting in a Union victory. Both sides suffered heavy losses, with more than 23,000 total casualties, and the level of violence shocked North and South alike. In the six months prior to the Battle of Shiloh, Yankee troops had been working their way up the Tennessee and Cumberland rivers. 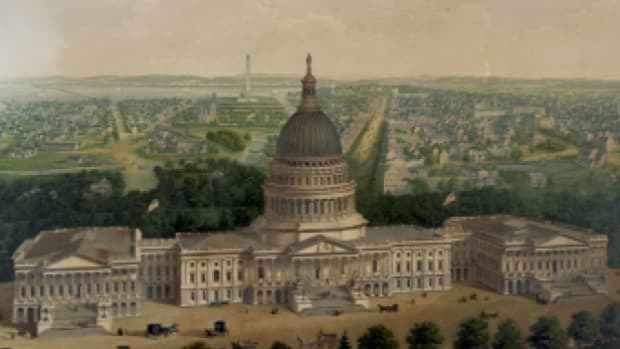 Kentucky was firmly in Union hands, and the U.S. Army controlled much of Tennessee, including the capital at Nashville. General Ulysses S. Grant scored major victories at forts Henry and Donelson in February, forcing Confederate General Albert Sidney Johnston (1803-62) to gather the scattered Rebel forces at Corinth in northern Mississippi. Grant brought his army, 42,000 strong, to rendezvous with General Don Carlos Buell (1818-98) and his 20,000 troops. Grant’s objective was Corinth, a vital rail center that if captured would give the Union total control of the region. Twenty miles away, Johnston lurked at Corinth with 45,000 soldiers. 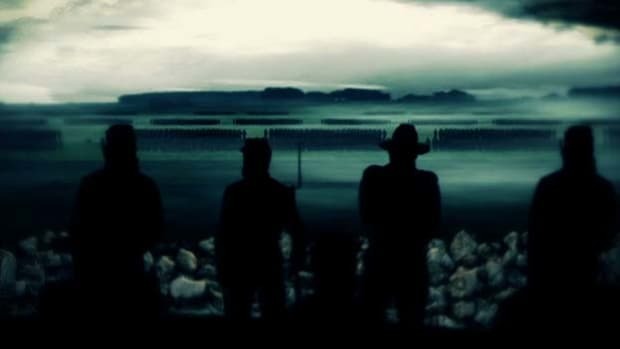 Johnston did not wait for Grant and Buell to combine their forces. He advanced on April 3, delayed by rains and muddy roads that also slowed Buell. In the early dawn of April 6, a Yankee patrol found the Confederates poised for battle just a mile from the main Union army. 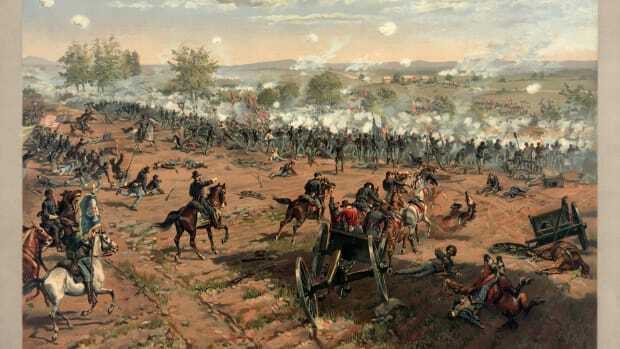 Johnston attacked, driving the surprised bluecoats back near Shiloh Church. Throughout the day, the Confederates battered the Union army, driving it back towards Pittsburgh Landing and threatening to trap it against the Tennessee River. Many troops on both sides had no experience in battle. 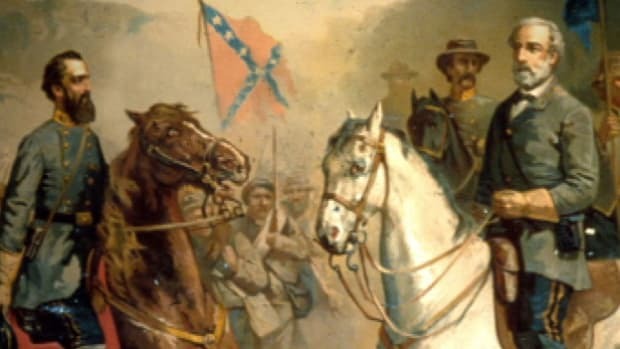 The chances for a complete Confederate victory diminished as troops from Buell’s army began arriving, and Grant’s command on the battlefield shored up the sagging Union line. In the middle of the afternoon, Johnston rode forward to direct the Confederate attack and was struck in the leg by a bullet, severing an artery and causing him to quickly bleed to death. He became the highest ranking general on either side killed during the war. General Pierre G. T. Beauregard (1818-93) assumed control, and he halted the advance at nightfall. The Union army was driven back two miles, but it did not break. Now, Grant was joined by the vanguard of the Buell’s army. With an advantage in terms of troop numbers, Grant counterattacked on April 7. The tired Confederates slowly retreated, but they inflicted heavy casualties on the Yankees. 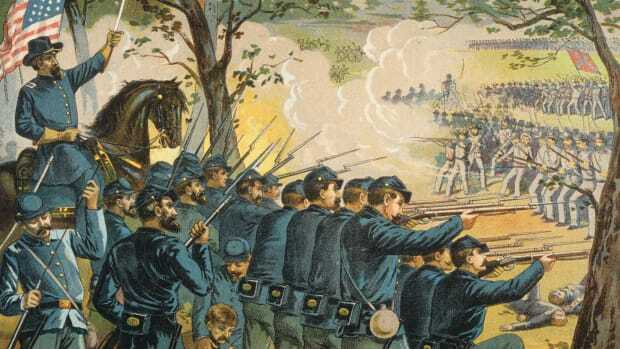 By nightfall, the Union had driven the Confederates back to Shiloh Church, recapturing grisly reminders of the previous day’s battle such as the Hornet’s Nest, the Peach Orchard and Bloody Pond. The Confederates finally limped back to Corinth, thus giving a major victory to Grant. The cost of the victory was high. 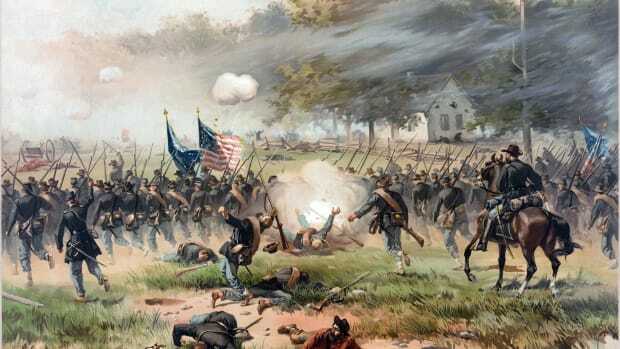 More than 13,000 of Grant’s and Buell’s approximately 62,000 troops were killed, wounded, captured or missing. 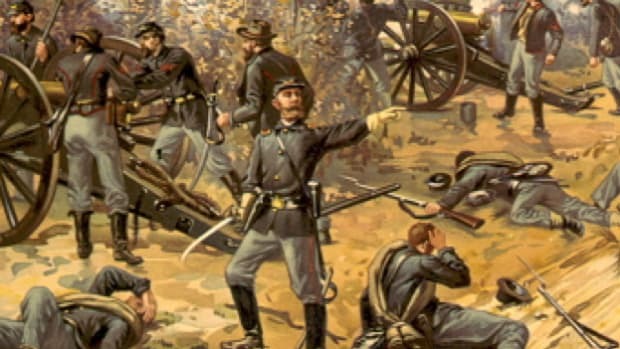 Of 45,000 Confederates engaged, there were more than 10,000 casualties. 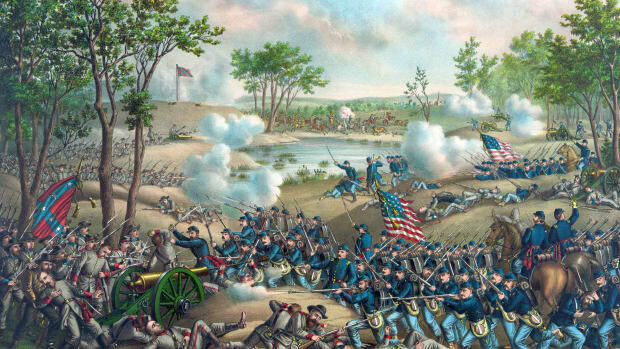 The more than 23,000 combined casualties were far greater than the casualty figures for the war’s other key battles (First Battle of Bull Run, Wilson’s Creek, Fort Donelson and Pea Ridge) up to that date. It was a sobering reminder to all in the Union and the Confederacy that the war would be long and costly.